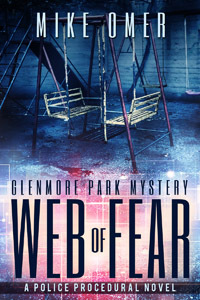 Detective Hannah Shor gets a case in the worst way possible – a friend calls her for help. Her twelve year old daughter has been kidnapped, and Hannah joins forces with the FBI to bring her home safely. When the kidnappers post an image of their captive on Instagram, the situation spins out of control. Now, the whole world is watching. Rumors spread like wildfire, and online vigilantes add fuel to the raging flames. As Hannah digs deeper, she unravels dark secrets from the family’s past. With the realization that the kidnapping is about more than just a ransom, Hannah needs to close in on the truth, before Abigail’s time runs out.